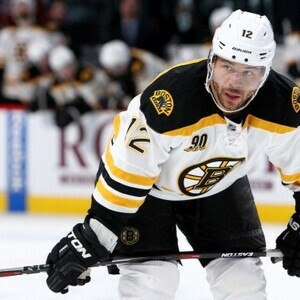 How much is Jarome Iginla Worth? Jarome Iginla net worth and salary: Jarome Iginla is a Canadian professional ice hockey player who has a net worth of $60 million dollars. Jarome Arthur-Leigh Adekunle Tig Junior Elvis Iginla was born in Edmonton, Alberta, Canada in July 1977. He was a member of two Memorial Cup winning teams when he played for the Kamloops Blazers. In 1996 he was named the Western Hockey League's Player of the Year. In the 1995 NHL Entry Draft Iginla was selected #11 by the Dallas Stars. Before making his debut the Stars traded him to the Calgary Flames. In 2001-02 he won the Lester B. Pearson Award as the MVP and led the league in goals and points. In the 2003-04 season he captained Calgary to the Stanley Cup Finals and again led the league in goals. Jarome Iginla has been selected as an All-Star six times. He holds team records for the Flames as their all-time leader in goals, games played, and points. He is also second on the team's all-time assist list. He has won the Mark Messier Leadership Award and donates $2,000 for every goal he scores to a children's charity. Iginla has played nationally for Canada. He has won championships in the 1996 World Junior , 1997 World Championships, and the 2004 World Cup of Hockey. Iginla has won two gold medals with Canada in 2002 and 2010. After playing 17 seasons in Calgary Iginla played for the Pittsburgh Penguins in 2012-2013 and the Boston Bruins in 2013-2014. He started operating the non-profit organization Jarome Iginla Hockey School in Calgary in 2002. He and his wife Kara and three children together.